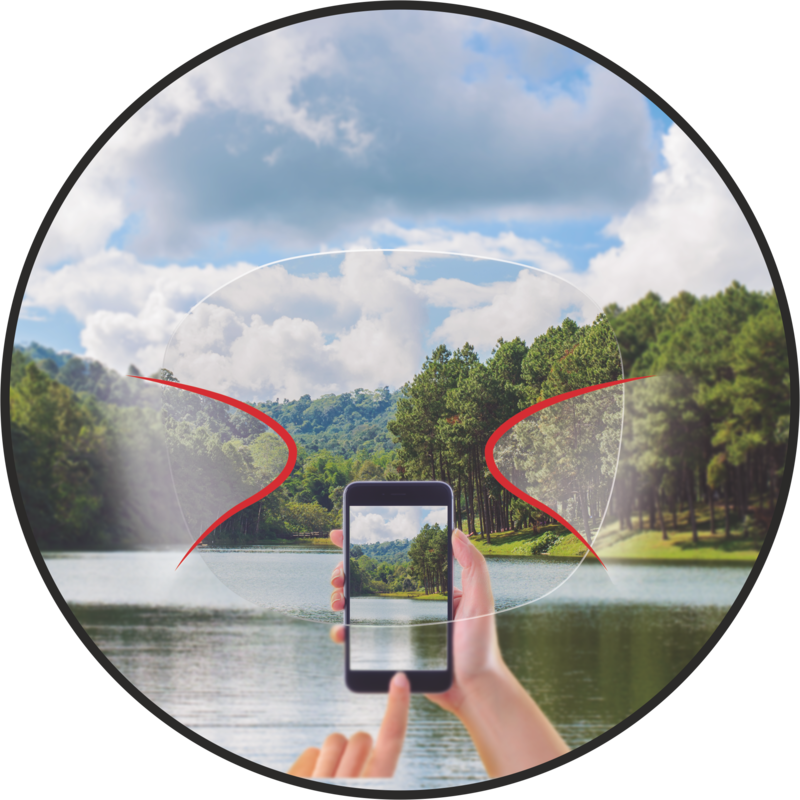 Advanced Double Progressive Lens Design. The new double-sided lens specially designed to offer a more natural vision. The revolutionary idea of power increase in the front surface allows Biactive to apply the ideal base curve for optimal vision in all gaze directions, providing the highest available visual acuity. 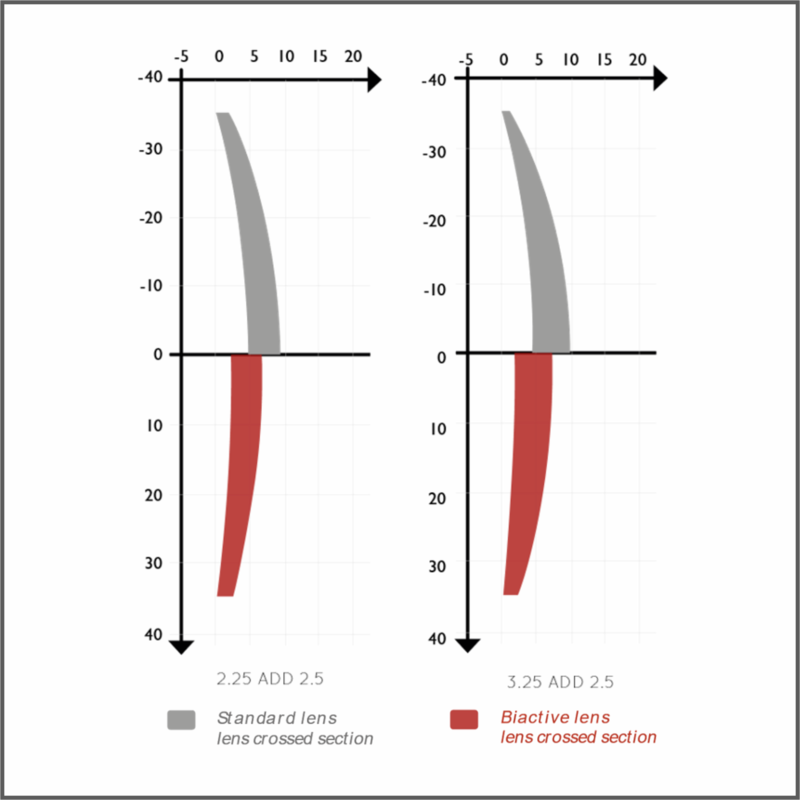 As a result of years of research, the smooth transition between the distance, mid and reading areas of Biactive lenses helps to reduce unwanted lateral aberrations. 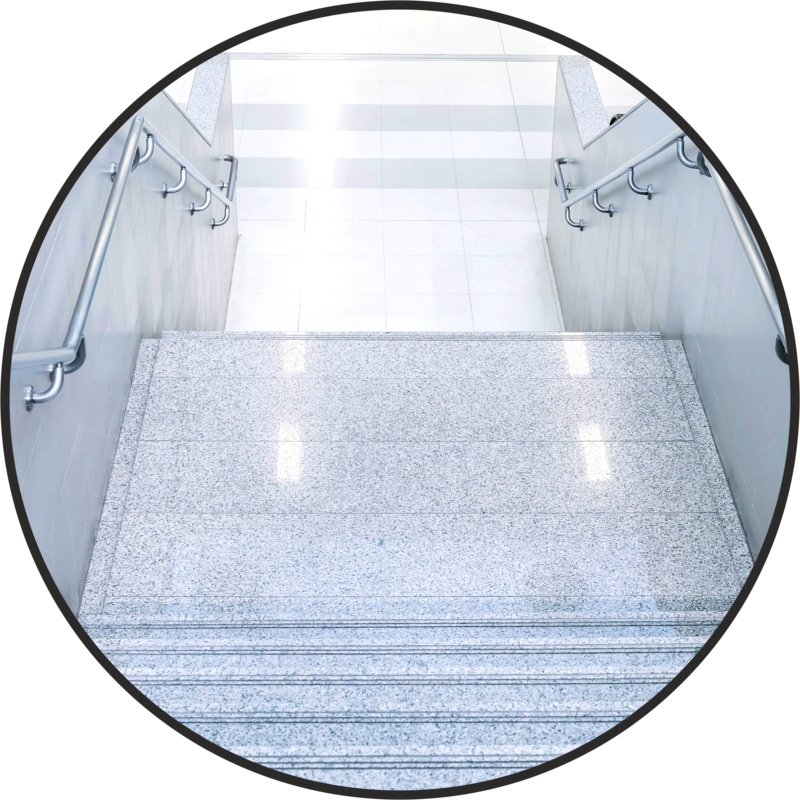 Thanks to this advanced improvement, presbyopes can enjoy more dynamic vision. 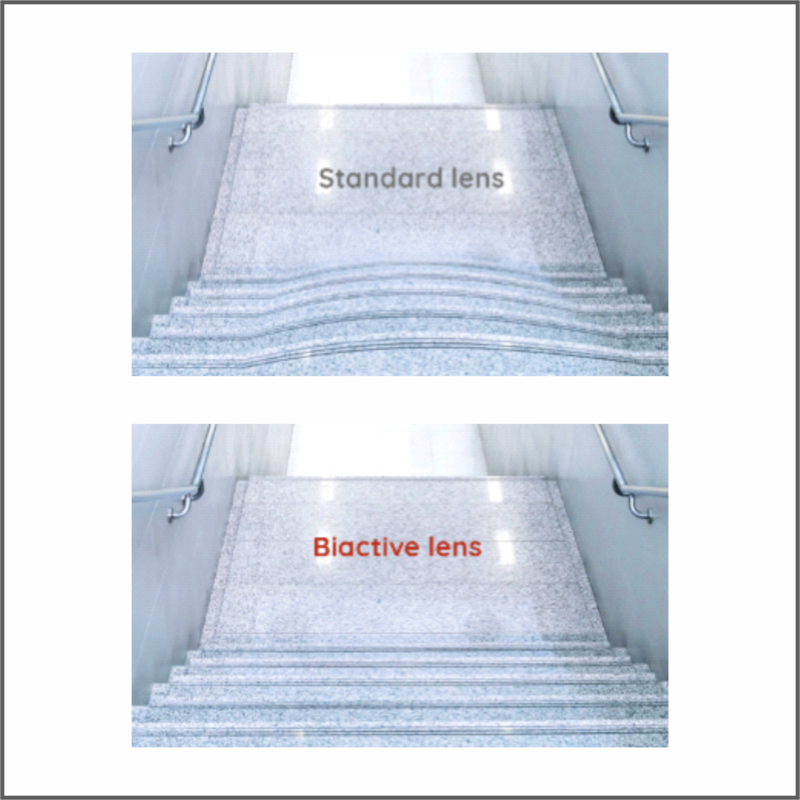 Biactive is a premium lens with wide visual fields. It was deveolped by applying an advanced design methodology to provide perfect image stability, minimize swim eﬀect and reduce distortions. The final result is increased wearer’s comfort and exceptional optical result. The Perfect Curve...for Perfect Optics! The correct selection of the base curve is crucial to obtain perfect optics. Great Image Stability. Minimum Swimming Effect! BiActive incorporates the most advanced FreeForm technology on its internal ensuring a perfect image stability and a minimum swim effect. 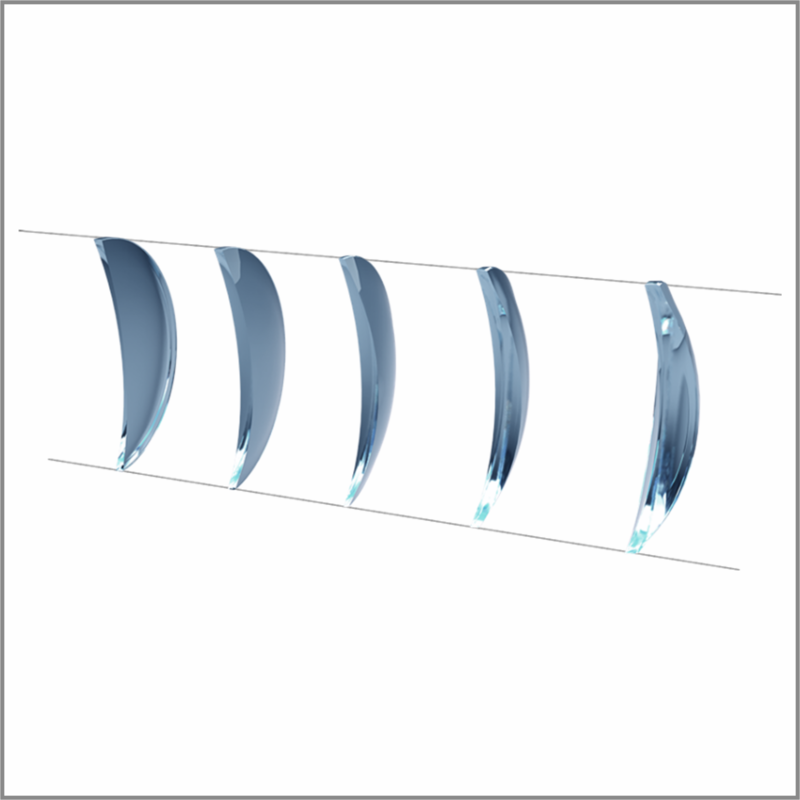 Developed using the latest technologies in ophthalmic engineering, BiActive has a smooth transition between optical zones and larger visual fields. Its unique technology provides wider peripheral vision and minimizes swim effect, resulting in visual comfort and optical stability, even while moving (playing sports, on the stairs, etc.). Better Aesthetics: The Flattest Lenses Ever! 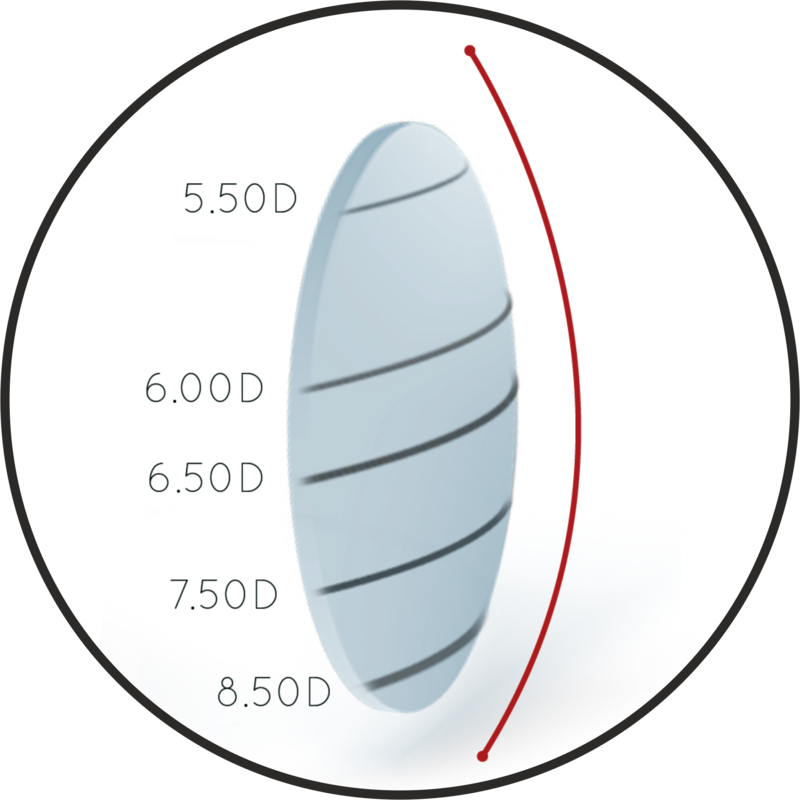 Thanks to its unique frontal curvature, BiActive lenses are much flatter compared with the standard FF-Progressives. Due to its configuration, BiActive lenses are flatter than other freeform lenses, delivering the optimal aesthetic result for any prescription and frame.